WASHINGTON • A middle-aged Pashtun man used forged documents to cross from Iran into Pakistan. A few hours later, on a lonely stretch of highway, he was incinerated by a US drone. 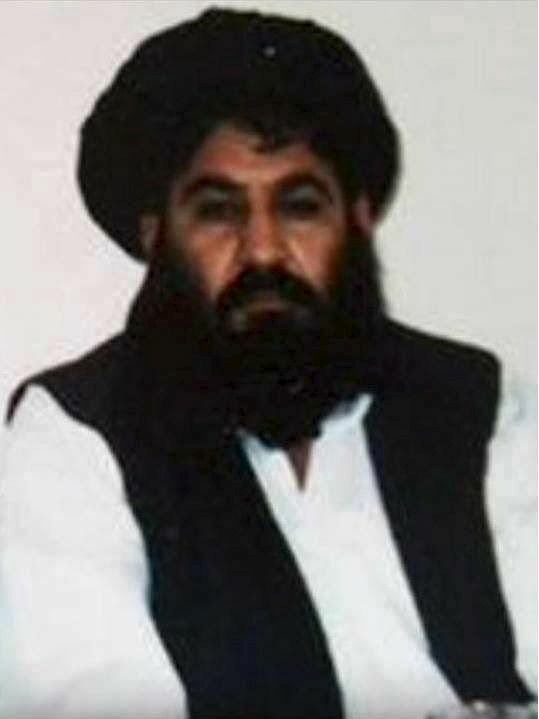 It is not exactly clear how the Americans tracked Mullah Akhtar Mansour, leader of the Afghan Taleban, to a white sedan rattling across the arid expanse of Baluchistan province last Saturday. The United States picked up a mix of phone intercepts and tips from sources, US and European officials said, and there were reports that Pakistan also provided intelligence. US President Barack Obama described Mansour's death as an "important milestone" - but the strike was also an illustration of the tangled relationship between Washington and Islamabad. The White House did not inform the Pakistanis in advance of the military's Joint Special Operations Command operation, which occurred outside the frontier region near Afghanistan, the one place where Pakistan has tolerated US drone strikes in the past. The fact that the top official of Afghanistan's Taleban was able to travel freely through Pakistan, and even into Iran, contradicted years of denials by Pakistani officials that they were harbouring Taleban leaders. A former Pentagon official described Mansour (above) as bad news for any kind of peace process. He is an individual who as head of the Taleban was specifically targeting US personnel and troops inside of Afghanistan who are there as part of the mission I have set to maintain a counterterrorism platform and provide assistance. U.S. PRESIDENT BARACK OBAMA, on the decision to strike Mullah Akhtar Mansour, the leader of the Afghan Taleban, in Pakistani territory. Mr Obama offered no apology for the decision to strike Mansour in Pakistani territory, saying it was a simple case of self-defence. "He is an individual who as head of the Taleban was specifically targeting US personnel and troops inside of Afghanistan who are there as part of the mission I have set to maintain a counterterrorism platform and provide assistance," Mr Obama said during a news conference in Hanoi on Monday. To many outside experts, it sent an equally powerful message to Pakistan. Its military and intelligence establishment was said to favour Mansour as the group's new leader. But the White House concluded he was a stubborn obstacle to reconciliation talks, which have been paralysed for months. Experts said Mr Obama's decision to target him suggested he had little patience for Pakistani sensitivities. Said Mr Vali Nasr, a former State Department official who worked on Pakistan: "This is literally carrying out an operation, not against an Arab terrorist leader, but against a Pashtun ally of Pakistan, inside Pakistani territory." The US told Pakistan several weeks ago that Mansour was a target, officials said. While the Pakistanis provided general information on his location and activities, they did not provide specific details. Pakistan's Interior Minister, Mr Chaudhry Nisar Ali Khan, yesterday said a DNA test would be done to confirm Mansour's death. He said the DNA from the charred remains of the body would be tested against that of a relative who had come forward to claim them. Mr Barnett Rubin, a former senior State Department official, said Mansour's death is unlikely to have a significant impact on the Taleban, which can easily replace him. The effect could be far greater on Pakistan's government, he said, which now must deal with the embarrassing circumstances.